This week we commemorate Yom Ha’Atzmaut, the State of Israel’s Independence Day, marking seventy years since its founding. Although the State is certainly far from perfect, its establishment and continued existence is without a doubt one of the greatest developments in Jewish history. Many have seen it as the first steps towards the final redemption, and even among Haredi rabbis (which are generally opposed to the secular State) there were those who bravely admitted Israel’s significance and validity. Rav Shlomo Zalman Auerbach (1910-1995), for example, considered the State as Malkhut Israel, a valid Jewish “kingdom”—at least for halakhic purposes—while the recently deceased Rav Shteinman unceasingly supported the Nachal Haredi religious IDF unit despite the great deal of controversy it brought him. 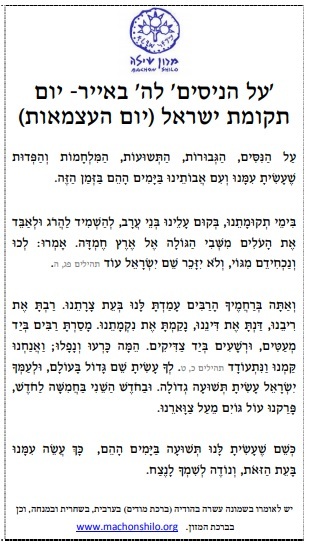 Rav Ovadia Yosef permitted saying Hallel without a blessing on Yom Ha’Atzmaut, and some have even composed an Al HaNissim text to be recited. 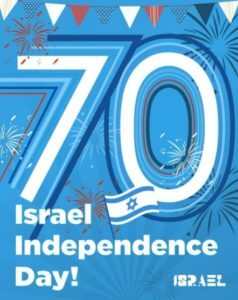 While we have already written in the past about the significance of the State’s founding (along with one perspective to bridge together the secular and the religious on this issue), there is something particularly special about Israel’s 70th birthday. The Arizal taught that Adam (אדם) stands for Adam, David, and Mashiach, for the final redeemer is both a reflection of the first man, and the scion of David. More amazingly, as we wrote earlier this year it is said that David is literally the middle-point in history between Adam and Mashiach, and as such, if one counts the years elapsed between Adam and David then it is possible to find the start of the messianic era—which just happens to be our current year 5778. In this year, the State of Israel itself turns 70, and our Sages speak of “seventy cries of the soul during labour”, and parallel to these, “seventy cries of the birthpangs of Mashiach”. It is possible to interpret these seventy birthpangs preceding the arrival of the messiah as the seventy years leading up to the redemption. Thus, Israel’s seventy years potentially bear great significance. Just as Psalms says that seventy years is one complete lifespan, for the State of Israel these past seventy years can be likened to the end of one “lifetime”, with Israel now standing at the cusp of a new era. Indeed, with all that has happened in the Middle East in recent years and months, Israel has undoubtedly emerged stronger and more secure than ever before. In this seventieth year, the world has begun to recognize Israel’s permanence, and affirm its unwavering right to Jerusalem the Eternal. 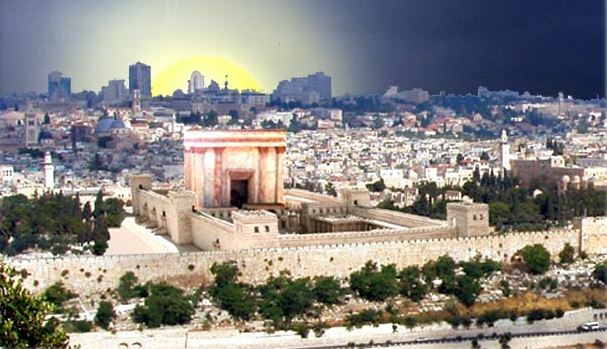 We see more and more nations formally recognizing Jerusalem as Israel’s rightful capital, and the United States plans to open its new Jerusalem embassy on May 14, which is Yom Ha’Atzmaut according to the secular calendar. Perhaps the most famous seventy in Scripture is the seventy year period of exile in Babylon, between the First and Second Temples. It is said that God decreed a seventy year exile in particular because Israel failed to keep seventy Sabbatical and Jubilee years between the settling of Israel under Joshua and the destruction of the First Temple. While the Exile was certainly a “punishment”, we know that God never truly “punishes” Israel, and out of each devastation (which is nothing more than a just measure-for-measure retribution) emerges something greater. As we’ve written before, it is in Babylon that the vibrant Judaism that we know was born. (See ‘The First Jewish Holiday’ in Garments of Light.) Unable to journey to the Temple, the Sages reworked each holiday to become more than a pilgrimage; unable to offer sacrifices, the Sages established prayers instead, “paying the cows with our lips” (Hosea 14:3); unable to fulfil the many agricultural laws, the Sages taught that learning the laws was as good as observing them. The Judaism of study, prayer, and mysticism was born out of the difficulty of the seventy-year Babylonian Exile. These past seventy years for Israel—also of great difficulty, and coming on the heels of another great devastation—was similarly one where Judaism has evolved considerably, and instead of dying out as some feared, has actually flourished. Many have pointed out another modern “Babylonian Exile”, too. This is the communist regime of the Soviet Union, where millions of Jews were trapped for some seventy years. (The officially accepted start and end dates for the USSR are December 30, 1922 to December 26, 1991.) The histories of Russia and Israel are tightly bound, for many of Israel’s founders came directly from the Russian Empire, including Ze’ev Jabotinsky, Golda Meir, and the Netanyahus. Some even argue that the severe persecution by the Russians—unrivaled until the Nazis—is what gave the greatest motivation for the founding of Israel. The Kishinev Pogrom of 1903 was the final straw for the Zionists. The description of that pogrom by Bialik (another Russian Jew, and later Israel’s national poet) aroused the masses to take up the call and make aliyah, and convinced many more of the necessity of an independent Jewish state. Those who follow geopolitics will immediately identify this midrashic passage with current events. The war in Syria is very much a proxy war between Saudi Arabia and Iran, just as is the war currently raging in Yemen. Saudi Arabia has joined the Western (Aram?) camp, and has even begun to speak positively of Israel in public. The prophet Jeremiah (49:27) further details that Syria will be the epicenter of the war, and the “end” will come when Damascus has fallen. Amazingly, Jeremiah calls the king of Damascus Ben Hadad (בן הדד), the gematria of which happens to equal Assad (אסד). And it also happens that the value of Gog u’Magog (גוג ומגוג) is 70. 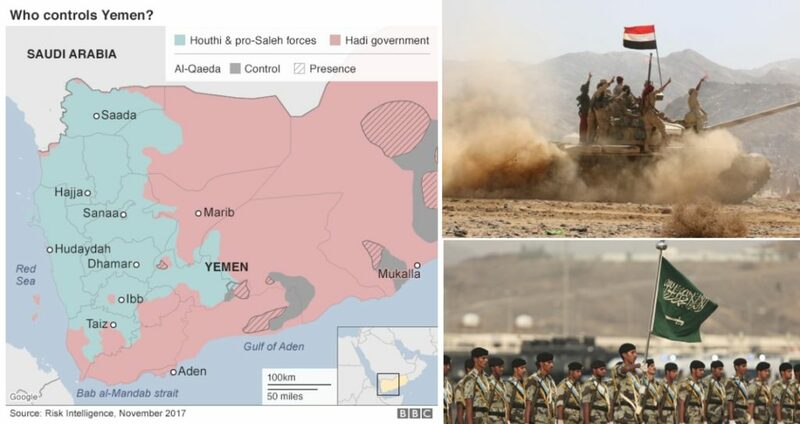 Top right: Arab Coalition forces led by Saudi Arabia (and backed by the US, UK, and France) fighting in Yemen to defeat Iran-backed Houthi rebels. Bottom right: Today in the news we read about Saudi Arabia considering sending ground forces into Syria, where Iranian Revolutionary Guards are deeply entrenched. Some say Saudi Arabia secretly has forces in Syria already. It is highly likely that there are Russian and American paramilitary groups in Syria as well. Turkish and Israeli forces are heavily involved, too, and the US, UK, and France recently launched a missile strike on Syrian facilities. Thus, Israel turning 70 carries remarkable symbolic meaning. The Midrash states that Israel has 70 names, and these correspond to the 70 names of the Torah (and the Torah’s 70 layers of meaning, to be revealed in full with Mashiach’s coming), as well as the 70 Names of God, and the 70 names for the holy city of Jerusalem. The last of these names, the Midrash says (based on Isaiah 62:2), is “a new name that God will reveal in the End of Days.” The struggle over Jerusalem and the Holy Land will soon end, with a new city and a new name to be reborn in its place. *Judaism began with Abraham. In an amazing “coincidence” of numbers, Jewish tradition holds that Abraham was born in the Hebrew year 1948. The State of Israel was, of course, born in the secular year 1948. Jewish tradition also holds that Abraham was 70 years old at the “Covenant Between the Parts”, when God officially appointed Abraham as His chosen one. This means the Covenant took place in the Jewish year 2018, paralleling Israel’s 70th birthday in this secular year of 2018. This entry was posted in Holidays, Kabbalah & Mysticism, Mashiach & End of Days, Midrash, Prophecy and tagged Abraham, Adam and Eve, Al HaNissim, Arizal, Armageddon, Babylon, Babylonian Captivity, Ben Hadad, Birthpangs of the Messiah, Covenant of the Parts, Damascus, End of Days, Ezekiel, Footsteps of Mashiach, Gematria, Geulah, Gog u'Magog, Hallel, Hebrew Calendar, Hosea, IDF, Iran, Isaiah, Israel, Israeli Independence Day, Jeremiah, Jerusalem, Jubilee, King David, Mashiach, Midrash, Moscow, Moses, Nachal Haredi, Persia, Pogrom, Prophecy, Psalms, Rav Auerbach, Rav David Bar-Hayim, Rav Ovadia Yosef, Rav Shteinman, Redemption, Sanhedrin, Sanhedrin (Tractate), Saudi Arabia, Shemittah, Soviet Union, Star of David, State of Israel, Syria, Third Rome, Yalkut Shimoni, Yemen, Yom Ha'Atzmaut, Zionism on April 18, 2018 by Efraim Palvanov. Is the “Jewish Calendar” Really Jewish? This week we read a double Torah portion, Vayak’hel-Pekudei, which continues to describe the construction of the Tabernacle and its components. At the same time, we have the special additional reading known as Parashat haChodesh, recounting God’s command to the Israelites to establish the months of the year and observe rosh chodesh. Parashat haChodesh is always read before the start of the month of Nisan, since this is the first month of the calendar (although the new year doesn’t officially start until Rosh Hashanah in Tishrei). It was particularly with regards to the month of Nisan that God commanded the Israelites right before their exodus from Egypt. Yet, the term “Nisan” does not actually appear in the Torah. Neither do any of the other eleven months’ names. These names actually come from the Babylonian calendar! 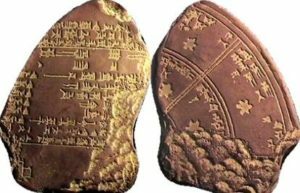 Our Sages admit that the Hebrew calendar was adopted from the Babylonians during the Jewish exile in Babylon following the destruction of the First Temple. The Babylonian calendar had essentially the exact same 19-year cycle as the current Hebrew calendar, with a 13th leap month of Adar II added seven times throughout the cycle in order to keep it synced with the solar cycle. Adopting the Babylonian calendar so directly actually presents a number of interesting issues. The Babylonians named their months based on their idolatrous beliefs. For example, Tammuz was the name of the Babylonian (and Sumerian) god of vegetation. In their mythology, Tammuz died and entered the underworld following the summer solstice, when the length of the days start to decline. Because of this, the Babylonians observed a mourning period in the month of Tammuz, with women in particular weeping in the temples. In fact, this is mentioned in the Tanakh, where God shows the prophet Ezekiel (8:14-15) a vision of Jewish women mourning for Tammuz by the Holy Temple in Jerusalem! This passage has God showing a number of abominable acts committed by the Jews, justifying their destruction at the hands of the Babylonians. Technically, Jewish law forbids even mentioning the name of a foreign or idolatrous deity. Yet, Jews to this day refer to the fourth month of the year as Tammuz! And to this day, Jews observe a period of mourning in that month! Of course, this period of mourning is not for the deity Tammuz, but for the destruction of the Temple. The parallels are nonetheless striking. The Ramban dealt with this apparent contradiction by teaching that it was done on purpose, so that the Jews would never forget their exile. 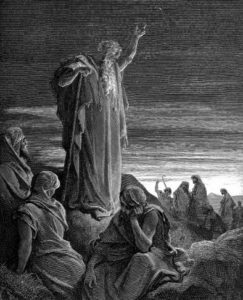 On a more mystical level, mourning for the Temple in the month of Tammuz can be seen as a sort of tikkun, a spiritual rectification for the sin of the ancient Israelites idolatrously mourning the false god Tammuz. Despite this, there was actually a time when Jews did not exactly agree on their calendar. It isn’t surprising that many weren’t too thrilled with adopting a pagan Babylonian system. The Book of Jubilees is an ancient Hebrew text that covers Jewish history from Creation until the giving of the Torah at Mt. Sinai. The book is divided into 50 chapters, with each chapter describing one yovel, “jubilee”, the 49-year period proscribed by the Torah. (Multiplying these values suggests that the Torah was given in the year 2450 according to the Book of Jubilees, which is very close to the rabbinic tradition of 2448.) While Jubilees was not included in the mainstream Tanakh, it was traditionally found in the Tanakh of Ethiopian Jews. It is also evident that Jubilees was used by the Hasmonean dynasty (of Chanukah fame), and influenced a number of midrashim, as well as the Zohar. It isn’t hard to see why Jubilees was not canonized by the rabbis of the day. The book suggests that those who use a lunar calendar are mimicking idol worshipers, and since the calendar is not precise like the solar one, end up celebrating the Jewish holidays on the wrong days. At least fifteen copies of Jubilees were discovered among the Dead Sea Scrolls—more than any other text. The Qumran sect of Jews that produced the Dead Sea Scrolls were clearly at odds with mainstream rabbinic Judaism. They believed that God created the sun and planets with precise orbits, and following these natural cycles reveals His great wisdom. Meanwhile, the rabbis rely on witnesses to spot a new moon before having the Sanhedrin proclaim a new month. The witnesses might err, or it could be cloudy that night, and the calendar would be all wrong! And Hashem spoke to Moses, saying: Speak to the Children of Israel and tell them, the appointed times of Hashem, which you shall proclaim as holy convocations, these are My appointed times. God clearly commanded us to appoint the convocations, and whenever we would do so, He would declare them as His appointed times! The Talmud elaborates that God wanted us to reconstruct our own calendar, and the Heavens will reflect our actions here on Earth. There is a far more profound lesson here that our Sages wanted to teach us. One of the central themes of Passover is that God transcends nature. The laws of Creation can be broken, and inexplicable miracles do happen. Since human beings are made in God’s image, we too are capable of transcending nature. (See ‘Transcending Nature’ in Garments of Light.) 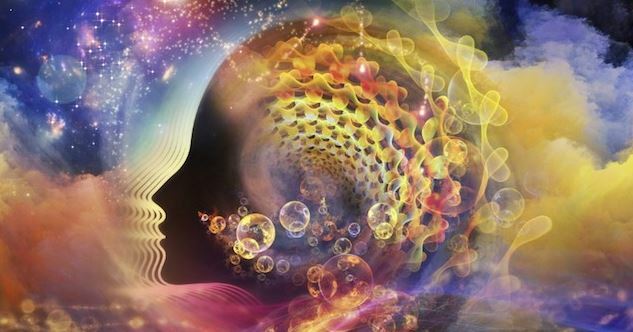 This is our very purpose in life; to break free from the confines of the physical and ascend ever further spiritually. The Sages established a lunar calendar that would allow people to participate in God’s creation—and teach them that they don’t have to be subject to the strict laws of nature—while at the same time wisely syncing the calendar with the solar cycle to ensure the years don’t lag behind. Ultimately, the calendar was fixed so that we no longer need any witnesses or a Sanhedrin to establish a month. Nonetheless, we celebrate the same holidays at different times every year to remind us of the great potential that lies within each of us; that we are not meant to be slaves of nature, but masters of it. *For a more detailed analysis of the conflict surrounding the Hebrew calendar, see the third chapter of Barry Freundel’s Why We Pray What We Pray. This entry was posted in Holidays and tagged Adar II, Astronomy, Babylon, Babylonian Calendar, Babylonian Captivity, Book of Jubilees, Dead Sea Scrolls, Essenes, Ethiopian Jews, Ezekiel, Hasmonean, Hebrew Calendar, Holidays, Idolatry, Jewish Calendar, Jubilee, Lunar Calendar, Mourning, Nature, Nisan, Parashat HaChodesh, Passover, Pekudei, Qumran, Ramban, Solar Calendar, Tammuz, Tikkun, Vayak'hel on March 21, 2017 by Efraim Palvanov.